Thanks to the folks at Spoiler Free Movie Sleuths, we don’t have to wait until we get our Digital HD copy of Doctor Strange to see some awesome new concept art from Taika Waititi‘s (What We Do in the Shadows) Thor: Ragnaraok because they’ve already posted several pieces online. The new images offer a tantalizing look at the incredible rematch between Thor (Chris Hemsworth) and Hulk (Mark Ruffalo) that we’ve been waiting for since the Thunder God got sucker punched by the Jade Giant in The Avengers, as well as a look at what Cate Blanchett will look like as Hela, Queen of Hel. Thor and Loki confront Hela. 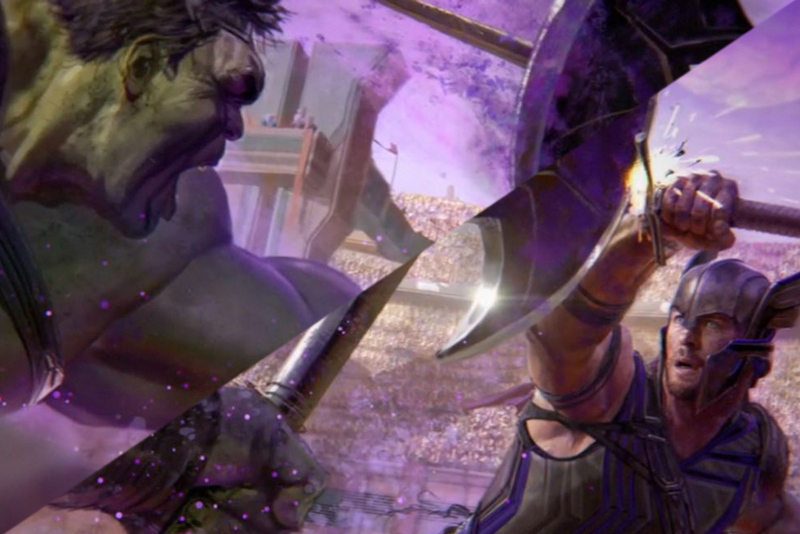 The Hulk and Thor fight for the Grandmaster’s amusement. The “Marvel Studios Phase 3 Exclusive Look” bonus feature also includes a few shots of some of the weapons the gladiators will be using in the Grandmaster’s (Jeff Goldblum) arena. Thor is imprisoned on the other side of the universe without his mighty hammer and finds himself in a race against time to get back to Asgard to stop Ragnarok — the destruction of his homeworld and the end of Asgardian civilization — at the hands of an all-powerful new threat, the ruthless Hela. But first he must survive a deadly gladiatorial contest that pits him against his former ally and fellow Avenger: the Incredible Hulk! Thor: Ragnarok also stars Tom Hiddleston, Idris Elba, Karl Urban, Tessa Thompson, Sam Neill and Sir Anthony Hopkins.